These are cute and captivating cats, and fit well into an alphabet’s worth of nonsense. 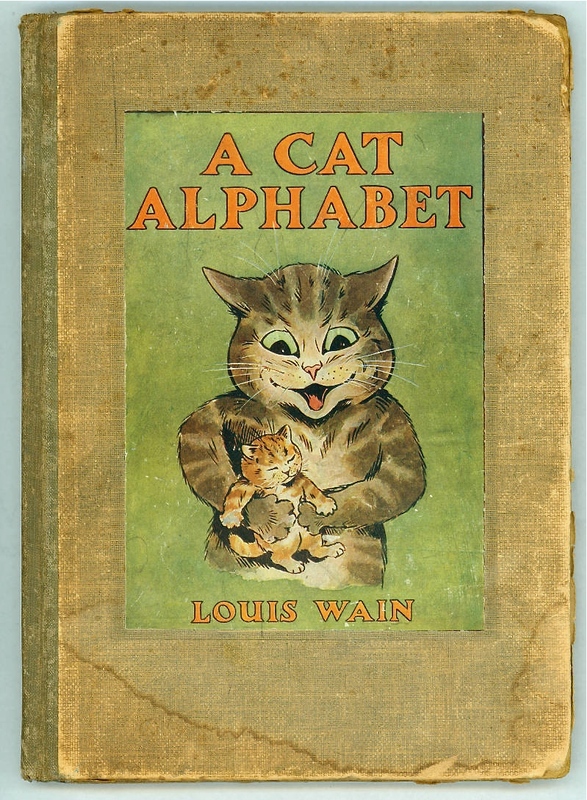 Cover from “A Cat Alphabet,” a picture book for little folk. By Dodge Publishing, circa 1910s. Illustrations by Louis Wain, who made a specialty of drawing large-eyed cats and kittens.